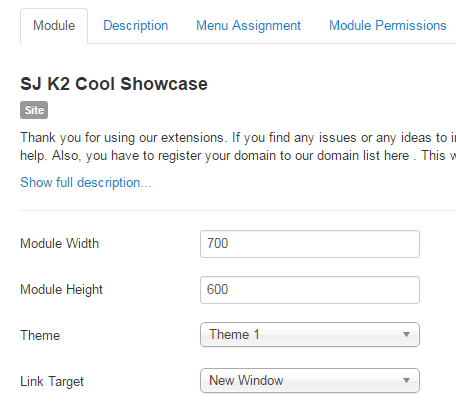 This guide will help you install SJ Cool Showcase for K2 module step by step. Module Width – Allow to enter the width of the module. Module Height – Allow to enter the height of module for Theme3 and Theme4. Theme – Allow to select a theme. Category filter – Allow to choose all or only selected categories. Select one or more categories – If above choice is “select”, you must to select categories that are used in this module. 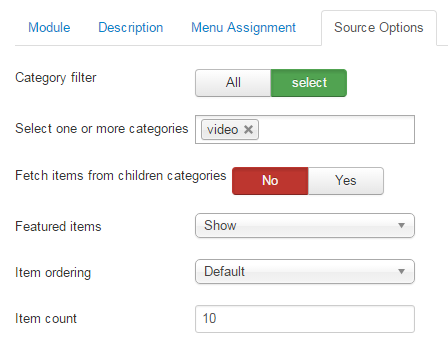 Fetch items from children categories – Allow to get data from child categories or not. Featured items – Allow to show/hide/show only featured items. 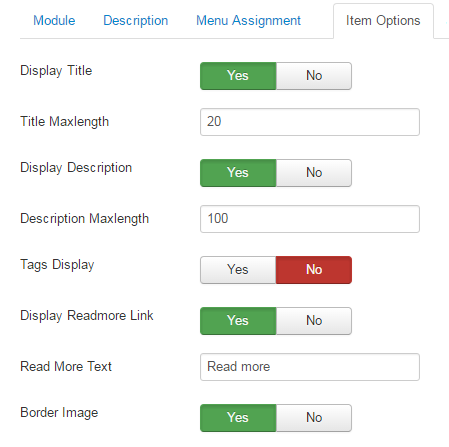 Item count – Allow to set number of articles which will be displayed in the module. Set value “0″ if you want to display all articles. Tags Display – Allow to display Product Image or Not. Display Readmore Link – Allow to show/Hide Readmore Link. Border Image – Display border of image or not. 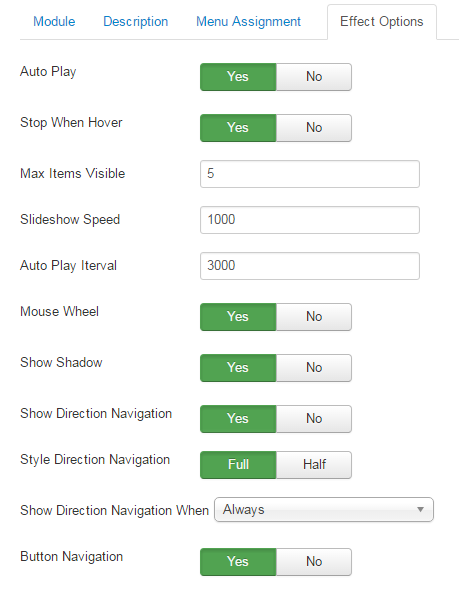 Auto Play Iterval – Allow to set the speed of timer. Larger = Slower. Show Direction Navigation – Allow you to show direction for navigation. Module Class Suffix – Allow you to style module with specific CSS suffix. Alternative Layout – Allow to choose one custom layout for module. Module Tag – Set wrapper tag for module. 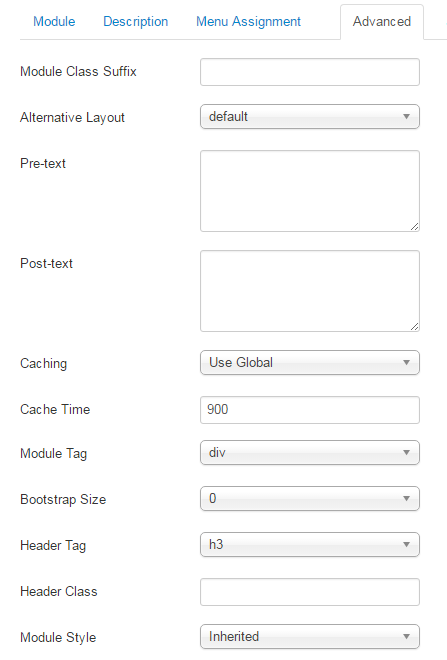 Bootstrap Size – Set width based on bootstrap for wrapper of module. Header Tag – Set tag for module title. Header Class – Set class for module title. Module Style – Override module style.